Each of the qualified and experienced team members at Family Dentistry is dedicated to ensuring that you get the best dental care available. But more than that, our Rockville dentists ensure that your health, comfort and care are the number one priority. We create a comfortable, relaxed, and friendly environment so you can enjoy stress free dental care from the moment you arrive. As a Maryland resident for the past 37 years, Dr. Augustine W. Paik graduated from the first dental school in the United States, the University Of Maryland School Of Dentistry in 1984 where he received his degree of Doctor of Dental Surgery. Shortly after, he started his residency at the Womack Army Medical Center. In 1987, Dr. Paik opened his private practice in general dentistry in Rockville, Maryland and has been treating patients for over 25 years ever since! Dr. Paik is a longtime member of several prestigious dental organizations and strives to provide the latest technology and dental innovations such as Cerec crowns and Invisalign for his patients. 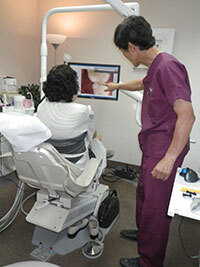 He enjoys learning the continuous advances in dentistry and places much input into perfecting these skills. With his experience, he volunteers at the University of Maryland School of Dentistry to teach clinical classrooms and is part of the Dean's Faculty. For as long as Dr. Paik has been treating his patients, he has also been an avid marathon runner. His office is decorated with pictures of Dr. Paik coming in on countless number of finish lines. 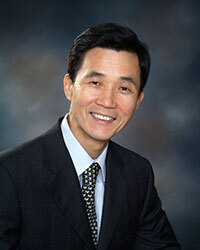 Dr. Paik is also fond of golf and believes that unwavering exercise is the key to good health.